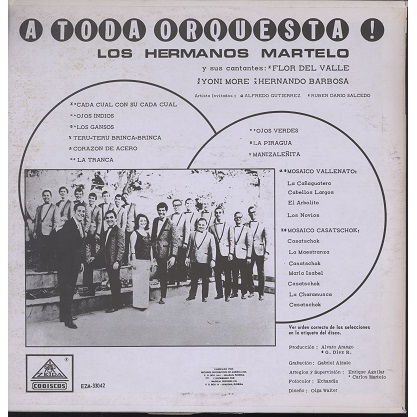 hermanos martelo - a toda orquesta ! 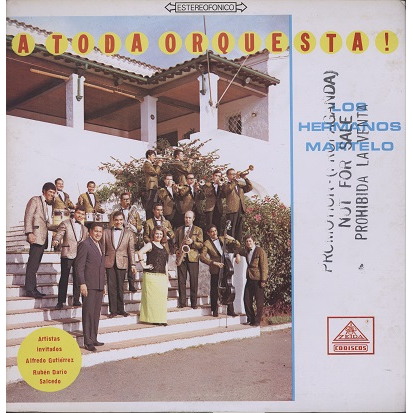 Cumbia, Porro, Vallenato album featuring Alfredo Gutierrez. Their first LP on original US Stereo pressing. Sleeve with light seam wear, stamp on front.